In In Vermont where I live, there are no reliable months where you are guaranteed not to get a cold night dropping down into the 30’s. 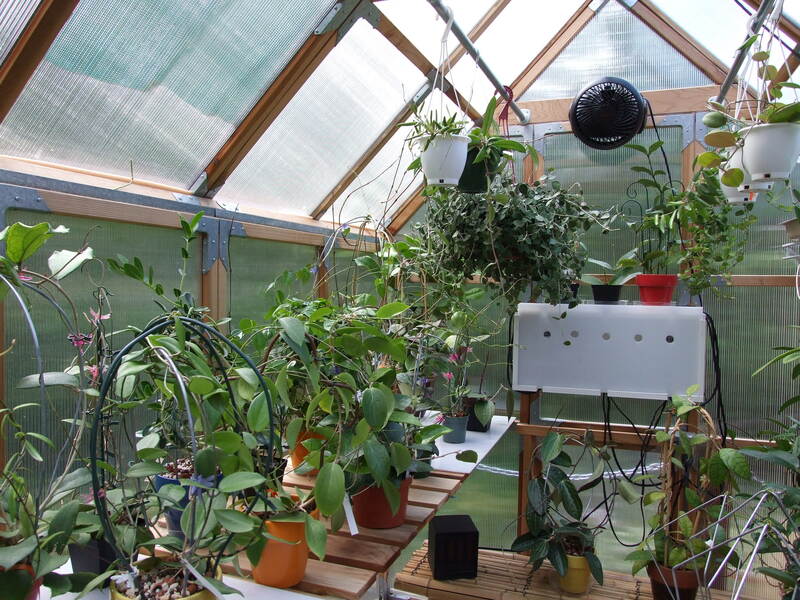 If you live in an area that temperature will stay at least in the 50’s, you may not need a greenhouse, but if you can fit one in, there is nothing as much fun to play in. I could not do everything I do with the harder to bloom Hoyas without some of them building up strong energy reserves from spending 3-4 months in the grow-house. 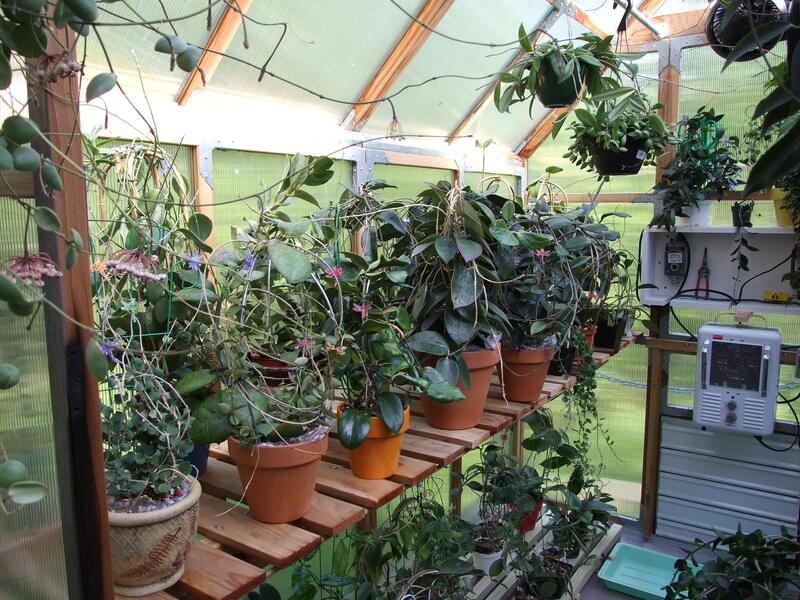 I run my greenhouse from mid-May to mid-September, and there is nothing as satisfying as walking into the greenhouse in the morning and smelling all the sweet, humid, tropical scents. 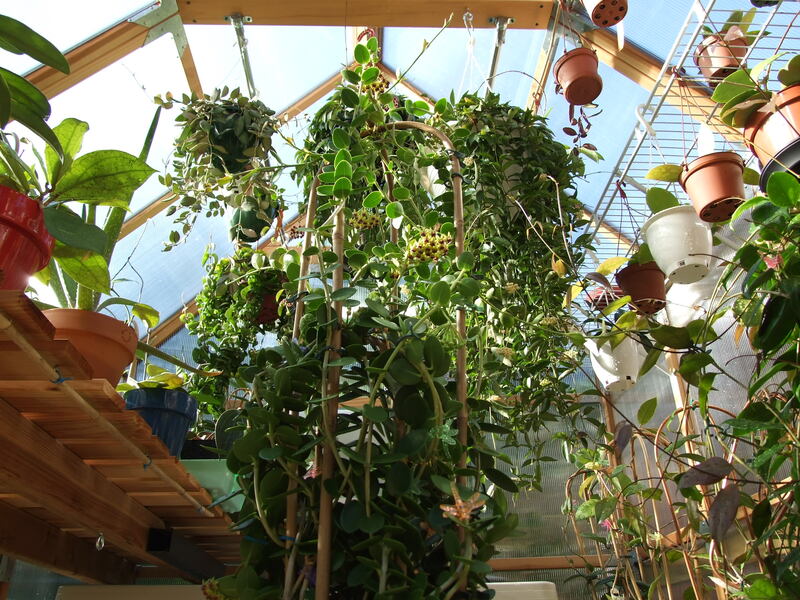 It does not require a lot of room to install a small greenhouse. 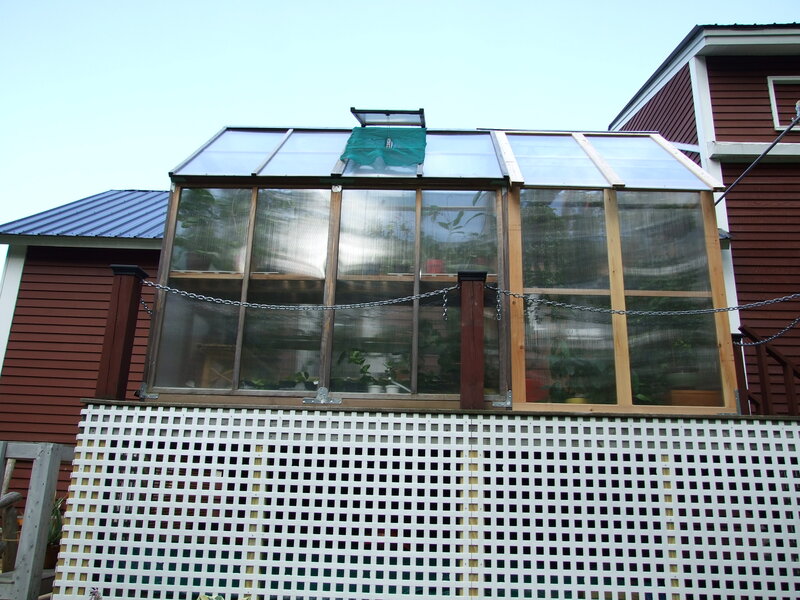 I have a subpage of this greenhouse page showing how I put one up on a pressure treated deck. Please check it out!